At Space In Your Case you'll be working with top notch family travel writers. We're parents who've seen the highs and the lows of travelling with kids, and we know how to give our readers the best possible insights into the brands we work with. Looking to reserve a Space In Your Case article or social media posts? Thank you very much for considering advertising opportunities with the award-winning family travel inspiration site Space In Your Case. To travel related brands and agencies, we offer the chance to work with top level family travel influencers on press trips, promotional campaigns and sponsored content shared here and/or on the site’s wider social networks. Looking to commission family friendly travel content? We’re a highly creative and well-respected team, with professional backgrounds in media, copy-writing, creative-writing, journalism, education and business. The team are frequently commissioned to write family lifestyle or travel copy and articles beyond Space In Your Case. We’d love to talk about how we can create great content for you, and the bonus is, when we’re proud of something, we love to share it with our audiences too. Looking to work with several top-notch family travel sites? As well as featuring on Space In Your Case, why not also explore with us how we can create a campaign which represents your brand across the team’s award-winning, chart-topping personal blogs? 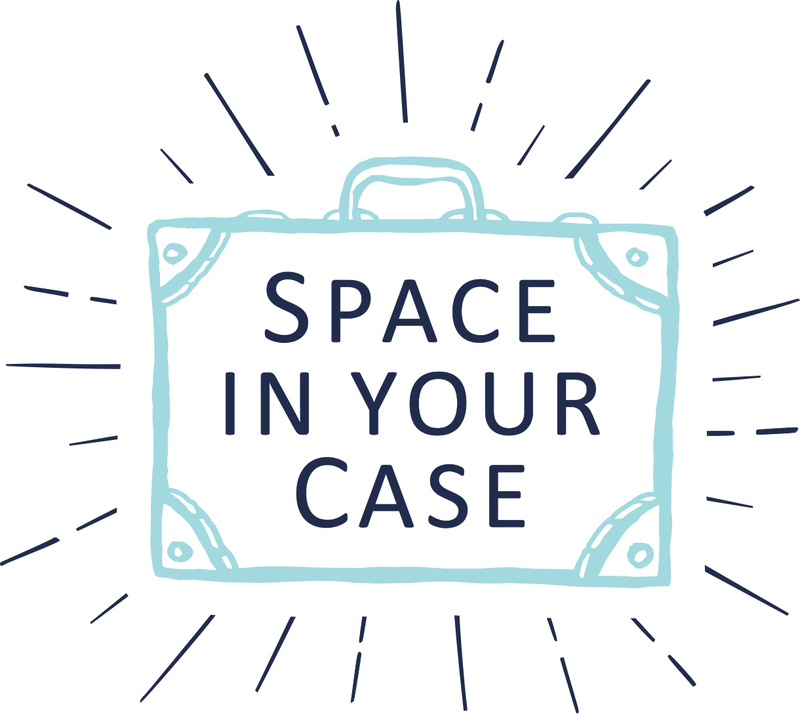 Space In Your Case provides the means to gather together and showcase travel experiences across our three very different families, plus we have lots of well-respected family travel blogging friends we would be happy to introduce you to. You can read more about Helen and Penny here. Looking to work with proven social influencers? As well as dedicated Space In Your Case social media accounts, the team have their own social media channels, with a combined following of 24k on Instagram and 45k on Twitter. We enjoy making high-quality films, you can view a selection here, we also have our own Your Tube channels and are passionate about experimenting with new means to reach our audience, such as Facebook live and Instagram stories. Looking to reach new audiences and convert existing ones? Over 20,000 people refer to articles on Space In Your Case every month, we provide initial travel inspiration, igniting traveller’s curiosity on Facebook, Instagram and Twitter. We also pride ourselves on providing the information families need to judge whether an experience is right for them; our audience is often already actively researching a particular destination, evidenced in how well our posts perform in search engines, and on Pinterest, our second biggest referrer. Here at Space in Your Case we believe that travel shouldn’t stop just because you have children. In fact, it can only make seeing the world even more enjoyable, and we are passionate about exploring and creating memories with our families. We are a friendly pair, so do drop us a line if you have an idea for a collaboration: editor@spaceinyourcase.com. We have collaborated with a wide range of brands and agencies on press trips, review trips, promotional posts, video and social media campaigns and we look forward to exploring how we can best share your destination or experience with our audience. Why not start by browsing our media pack? “It has been a pleasure working with the team at Space In Your Case this past year. Their professionalism, friendliness and creativity have helped us build our blogger outreach and create meaningful relationships within the blogging community.” Emilia Berni, Mark Warner Holidays. “We had the pleasure of the Space In Your Case team staying in our yurts over the Summer. From the start, they were incredibly professional in their communication. They thoroughly immersed their families into the glamping experience, cooking on the campfire, exploring the local area, and even documenting some tips on what to do when it rains! After the trip, their reviews were turned around really quickly, with thoroughly thought out and well written articles, full of anecdotes and family pictures – really capturing the experience in a way that really shows potential guests exactly what it is like staying with us. The team were very proactive in promoting the review once published, across social media platforms. In terms of results, we have seen a rise in our social media followers.” Emma Cavill, Somerset Yurts. Helen was a complete joy to work with on Space In Your Case. The family was a perfect fit for this holiday so we’re glad the trip was a success – as wonderfully expressed in the engaging series of blog posts and social media posts.” Stacey Stockwell, Siren Communications for Canvas Holidays. Beaches, Youth Hostel Association, Visit England, Visit Scotland, Visit Wales, Carnival Cruise Lines, Princess Cruises, Bologna Welcome, Camping and Caravan Club, Somerset Yurts, James Villas, Cavendish Hotel, Hotel Touring, Ox Pasture Hall Hotel, Ragdale Hall Spa, On the Beach, Luxury Family Hotels, Bluestone National Park, Edition Hotels, Butlins, Sykes Cottages, Clydey Cottages, Martinhal, Mark Warner, Park Plaza Hotels, Montpelier Group, Coolstays, Go Lakes, Visit Somerset, Virgin Trains, La Ferme du Cayla, Thomson Holidays, Great Northern Thameslink, Disney Destinations, Scarlet Hotel, King’s Head Cirencester, Virgin East Coast, Novotel, Blue Chip Holidays, Center Parcs, Volvo and Camp Bestival …to name just a few. What kind of holidays do we cover? Drayton Manor, National Trust, Cadbury World, RSPB, Peppa Pig World, Father Christmas World, ZSL, Harrods, Lollibop and Planet Hollywood to name just some of them. If you have a brand proposition for us, we'd love to hear from you!